She's been packing. And planning. And preparing. She's all ready for the big trip so it's time for you to face the facts. She's going to Avalor. And if you're not ready and prepared to help her out, well, she's probably going to go out to find Elena of Avalor on her own! Let's get her a leg up on the other travelers bound for the magical land. Let's get her a look that's so fantastic, she'll be swept up into Elena's princess posse the moment she sets foot onto her destination. Let's get her an Elena of Avalor costume! Of course she's going to love choosing one of our Disney costume to become Elena. She'll love the magic that a special gown or dress costume helps her create. 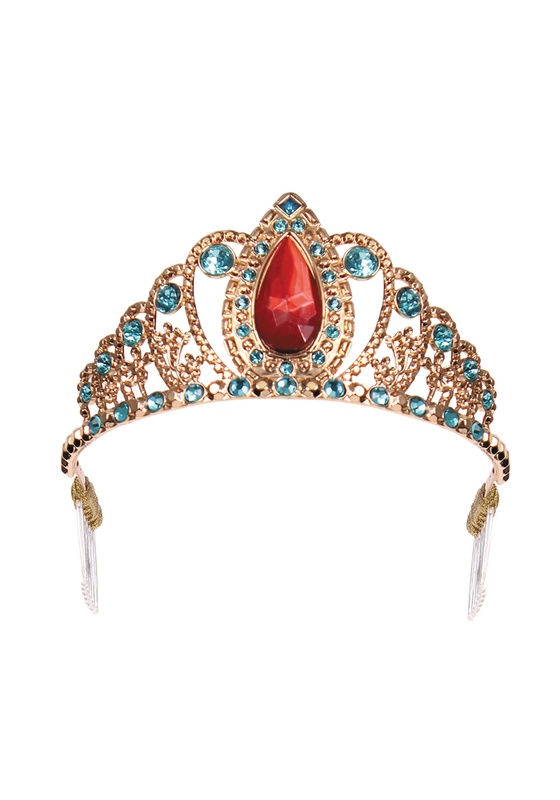 But she's going to want the look finished just right, which is why you're going to need this princess tiara to complete her costume. Whether she's got her sights set on Avalor, wants an epic trick-or-treat adventure, or just wants a fun accessory for playtime fun, this officially licensed tiara crown will have her ready for the action. After all: "Every legend starts with someone special!"